at 8923 Turnberry Glen Court, Tomball. 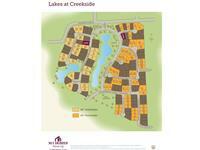 Lakes at Creekside unit sizes range from 2752 to 5250 square feet. 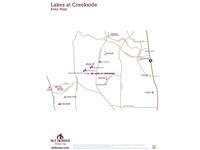 "The Hometown with a Heart," Lakes At Creekside is just northwest of Houston and less than 2 miles south of The Woodlands. 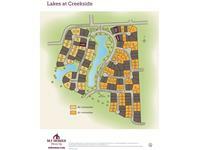 This one-of-a-kind neighborhood includes beautiful lakes, walking trails, and lots of parks for its residents to enjoy. The recreation center offers a pool and splash pad, community room, and a playground – so many fun options for you and your family! Homeowners will be able to select from 65' homesites or 80' homesites, the latter of the two being located within the gated section of the community. Set just south of the Woodlands in Tomball, a quaint town of just over 11,000 people, residents will love the Tomball ISD schools, dining, retail options, and history of the city. Young residents will attend Timber Creek Elementary, Creekside Park Junior High and Tomball High School. Your inquiry will be delivered to the developer / builder of Lakes at Creekside, who will send you more information about this development.